Breakfast is the most important meal of the day. While I do believe in a healthy, filling and satisfying breakfast. Most people would rather somethings light easy and delicious. I am West Indian (Jamaican to be exact). Caribbean people don’t wanna eat eggs for breakfast, we wanna eat (Green Bananas, yams, ackee and saltfish, callaloo, steamed fish, fried dumpling, mackerel YOU NAME IT!!). Yup! I know right, a breakfast for a king. After eating breakfast I can bet you wonder how we work. Believe I can’t answer that. I hate waking up to make breakfast and since I am in American, I have adopted the American lifestyle. I hate eating the same old boring egg sandwich and plain oatmeal and porridge. (Yes! we eat porridge, I think we got that from our European ancestors. 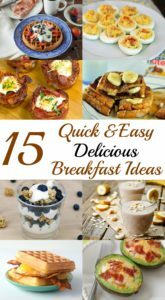 I gathered some of the Quick and easy delicious breakfast ideas that are actually healthy and tasty at the same time. Please enjoy! 1. Belgian Waffle Breakfast Sandwich. This is like IHOP in your own kitchen. Yummy!!! These are a perfect combination, especially for breakfast. 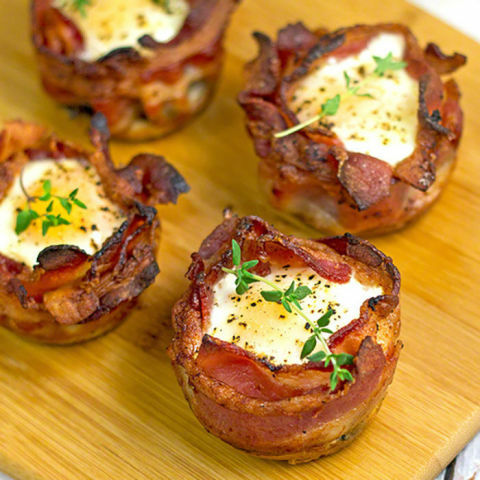 Wrap the bacon in the baking sheet, add eggs and bake for 10 minutes. Easy Peasy! Check out the recipe here at Bake Eat Midnight. This is not your typical breakfast, but it’s a delicious one. Recipe here at There Recipe Rebel. Mr Breakfast Blueberry Breakfast Parfait Recipe Here. OMG!!! 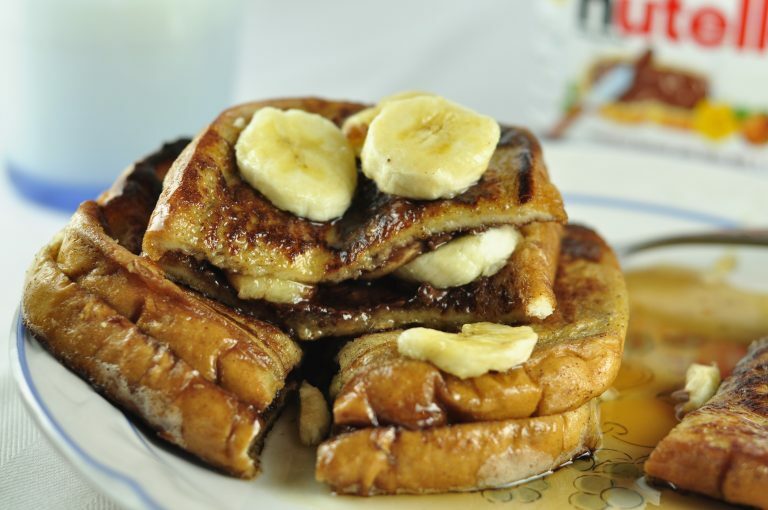 Banana and Nutella Stuffed Pancakes from Wishes & Dishes. 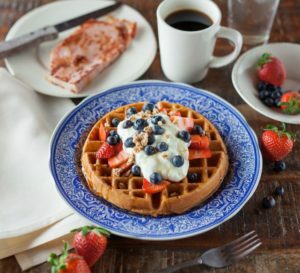 Simple Waffle with yoghurt Blueberries and Strawberries for breakfast. With a nice side of Coffee & Toast. Your well on your way to great day. 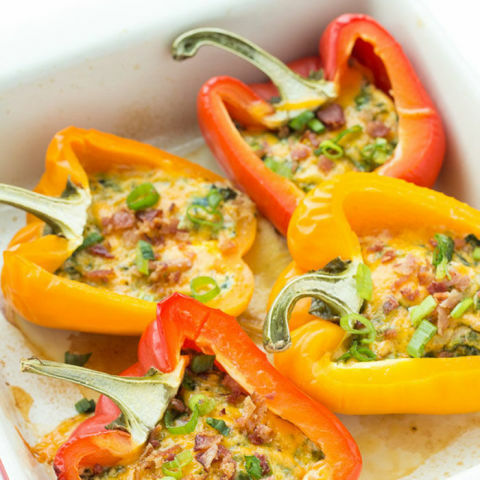 This Eggs Stuffed with Tuna Anchovies from Girl Cooks World is a different but great, delicious idea for breakfast. I usually do tuna salad sandwich but this I will definitely try. Lil Luna made this delicious Avacado, Bacon and Egg recipe. 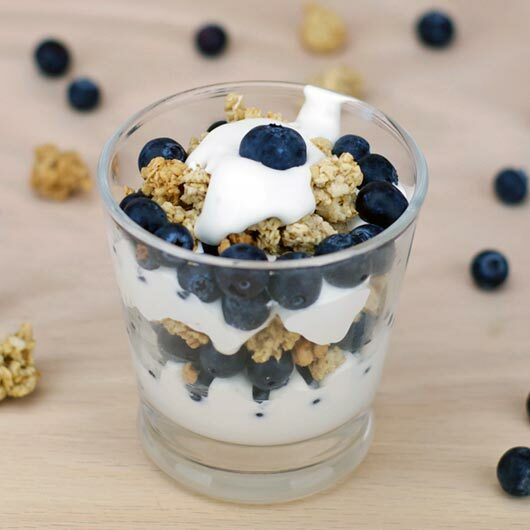 It’s just simple, delicious and healthy breakfast you would love to indulge in. Don’t you think these are some delicious and tasty breakfast ideas? You definitely need to try some of them. Let me know some of your quick and easy breakfast recipes that you use. Would you like for me to feature your recipe? Send me a message in my contact.